Welcome to the first Read This Newsletter for adult readers. We’ll share reading recommendations, highlight online resources and provide tips and tricks for using the library, tailored just for our voracious readers - you! In this issue, explore small presses, bestsellers written as a challenge, and local indie authors, as well as learn how you can be notified of new works by your favorite creators. Did you know Minnesota is home to many small presses, including the award-winning Graywolf Press, Milkweed Editions and Coffee House Press? Discover both local and national small presses through the hidden treasures on this list. Every November for 20 years, National Novel Writing Month (NaNoWriMo) has encouraged creativity, education and the power of the imagination through the largest writing event in the world. Check out some of the authors who succeeded in getting their NaNoWriMo novels published. 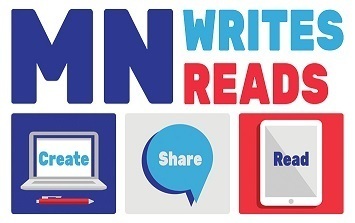 Read self-published local authors in Indie Minnesota, part of the MN Writes MN Reads suite of online resources. Readers can also become writers by creating eBooks in Pressbooks, with the option of sharing them with readers across the state and country using SELF-e.
Did you know you can get an alert by email when the library orders a new title by one of your favorite authors or performers? You also choose what formats you prefer so you can ensure you only get notices for your favorite ways to enjoy their work. 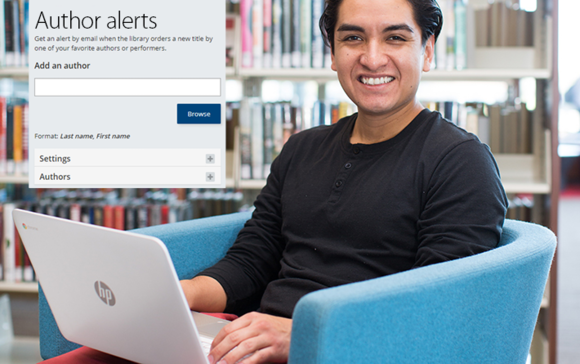 Subscribe to Author Alerts from your My HCL account. Engage in book clubs, writing and discussion groups, and author talks.